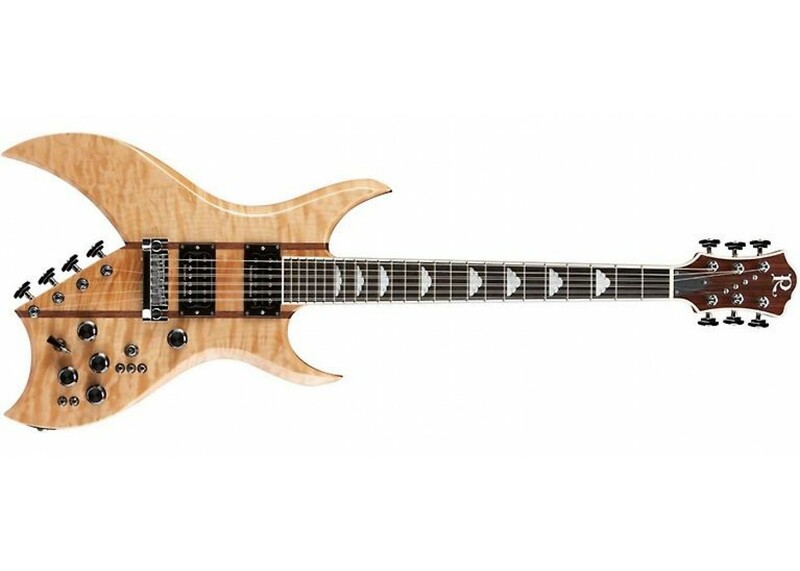 Born in the late-'70s, the Bich 10-String model was well ahead of its time, offering an endless range of tonal varieties via its fully active electronics, neck-through body design and striking good looks. The Bich quickly became a studio and stage favorite of legendary players like Joe Perry and Slash, and was destined to become the most iconic shape in B.C. Rich history. In 2012, the B.C. Rich Custom Shop has re-introduced the Bich 10 Supreme's handcrafted royalty with a higher level of refinement in its shape, contours, cloud inlays and highly figured maple tops. Its mahogany body and neck-through construction delivers resonant balance, sustain and easy access to the highest points of its 24-fret two-octave neck. 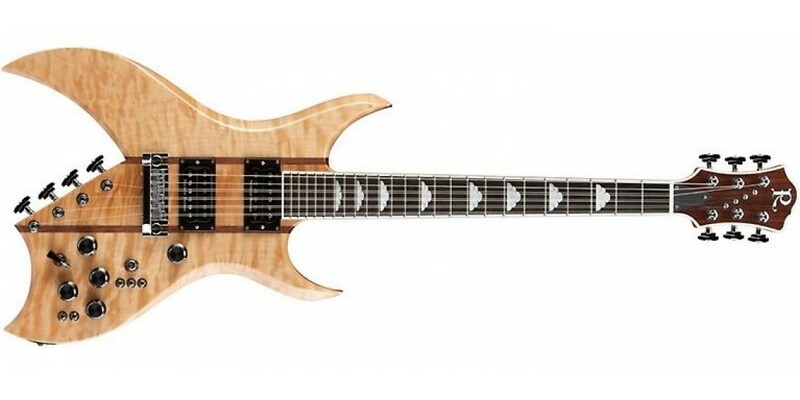 Standard adornments on the Bich Supreme include: full neck and headstock binding, abalone or mother-of-pearl cloud inlays, rosewood stringers, chrome hardware and highly figured maple tops.